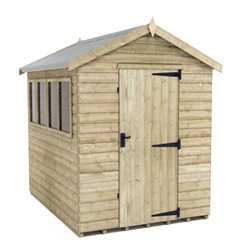 Our 14x8 wooden garden sheds are beautifully unique, available in logboard cladding or pressure-treated shiplap. 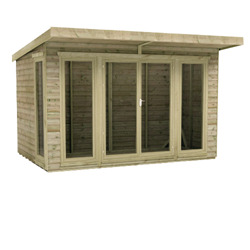 These buildings are spacious as well as eye-catching, and will be a stunning feature of your garden. 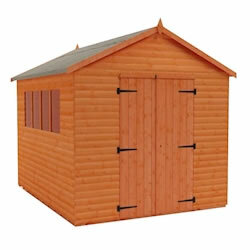 The special logboard upgrade of the Tiger Heavyweight Workshop gives the aesthetic appeal of a log cabin as well as increased thickness of cladding.